This year we are celebrating 100 years of Cubbing worldwide. 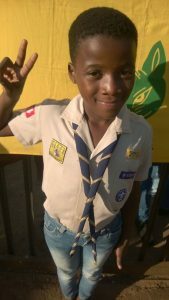 We spoke to Vun’we Baloyi (10) from 1st Sasekani Cub Pack in Limpopo. Cubbing is fun because we learn while playing. My best experience was learning the Cub laws because they are easy. Once I ate Jungle Oats outdoors. The toughest challenge was collecting 100 white stones for the Cub challenge. The most amazing place where we went was Petanenge. I learnt to respect other people and how to keep myself clean. We helped the community by picking up papers. 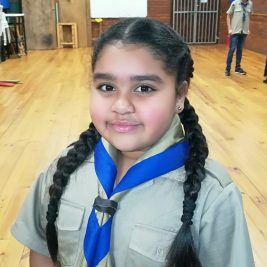 I taught my mum the Cub promise and law because she needs to know it so that she can help me. A good Akela is kind to other people. Cubbing Rocks because … we always learn something NEW.